Not sure if this is relevant on sorcery speed, but maybe it have potential? The indestructible clause doesn't matter. 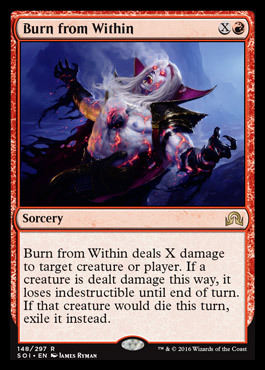 The exile clause doesn't matter (see lack of Demonfire in Vintage). Doesn't pass the Lodestone test. Oh look disintegrate is back.